Interested users should follow the steps to Become a User. The beam spot is typically about 1 inch in diameter. It is expected that low rate tests will use pion beams with energy 66 GeV and below. 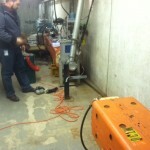 High rate tests will use 120 GeV protons. The maximum rate available will be approximately 2.5 GHz/cm2 (1E10 particles/spill). 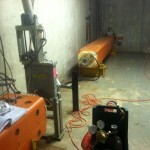 For more information about how the beam is made see Delivery Path. 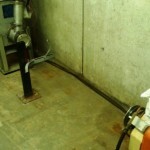 A 61-inch long air gap has been created in the beam line. The beam is 19.5 inches above the floor. 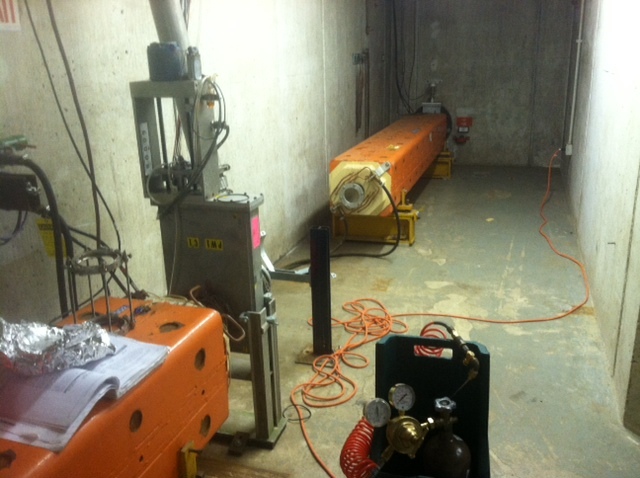 An area in the MS3 service building is set-up for users to monitor their experiment while the beam is on. 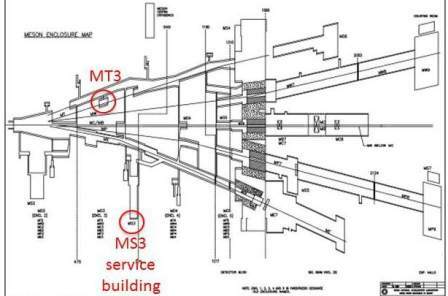 The MS3 Service Building is located on the access road next to Road A, north of Master Substation, south of Meson Detector Building, and east of the Meson berm. 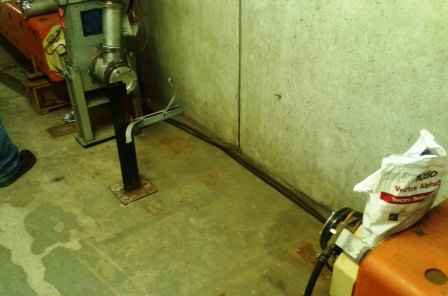 Entrance to the MS3 building is with an AC4 key which can be obtained from the MCR, or the FTBF Coordinator. 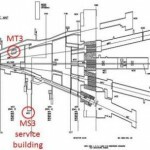 Entrance to the M03 enclosure is through the southern gate of the MS3 Service Building. 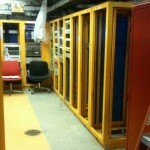 (MS3 has entrances to the M03 and M04 enclosures.) To enter the M03 enclosure, users will need ODH training, as well as Radworker and Controlled Access training. See Training. Keys to the enclosure are available from the MCR. Upon entering the M03 enclosure, users will need to proceed due east, crossing over the MCenter beamline, then turning slightly south, walking upstream along the MTest beamline, until they reach the Alcove. 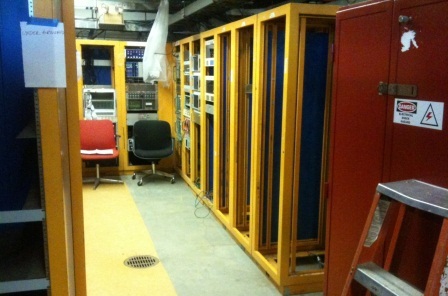 Signal and High Voltage cable patch panels link the enclosure alcove area with the MS3 Service Building. Network fiber is installed between the two areas, with capabilities for general network access and private network capabilities. 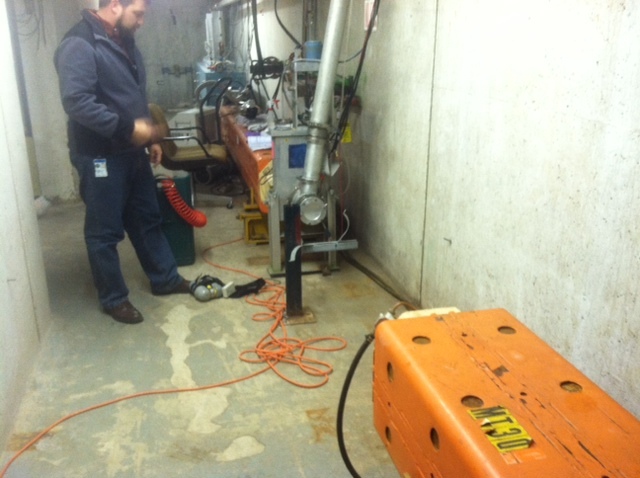 A Gas System is set up so users can send inert gases from the service building to their apparatus in the beam. A remotely controllable motion table is located in the air gap so users can perform beam scans, and move detectors completely into and out of the beam, without making accesses to the beam enclosure. The table is 38 inches along the beam axis and 18 inches wide. It has been load tested to 490 pounds. It’s range of motion is 30 cm vertical, and 58 cm horizontal. The MT3PWC SWIC is located directly behind the detector area and can give a profile of the beam exiting the Device Under Test.